She's a beaut Clark! There has to be a story about how and why a forty year old Caprice wagon from metro Boston area looks like it just rolled off the showroom floor. This maroon long roof is blessedly free of wood grain side paneling and has jarring shade of red interior. 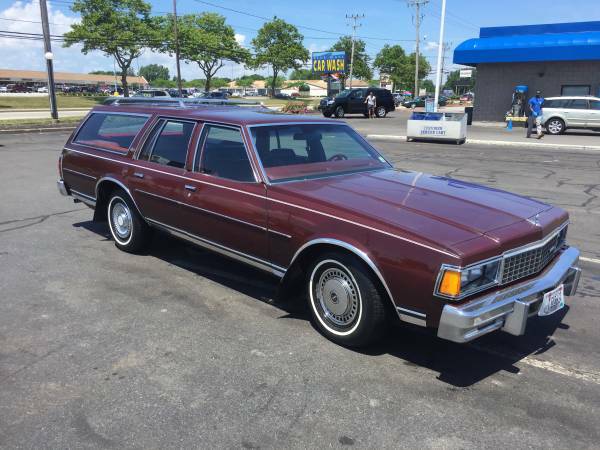 If you wanted a large car that could haul sheets of plywood and be easily be hotrodded this third generation Caprice should be on your shopping list. 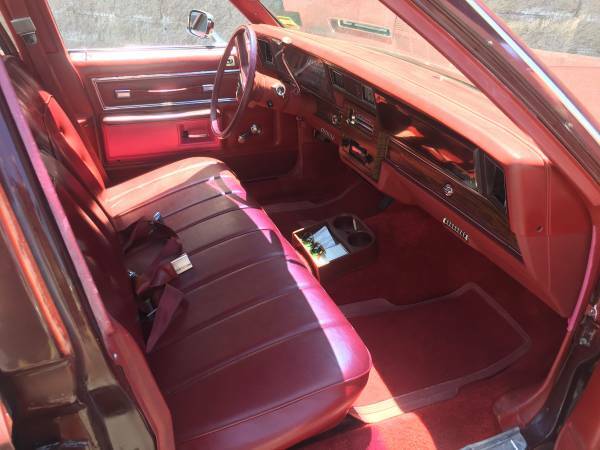 Find this 1978 Chevrolet Caprice for sale in Warren, MA for $5,500 via craigslist. 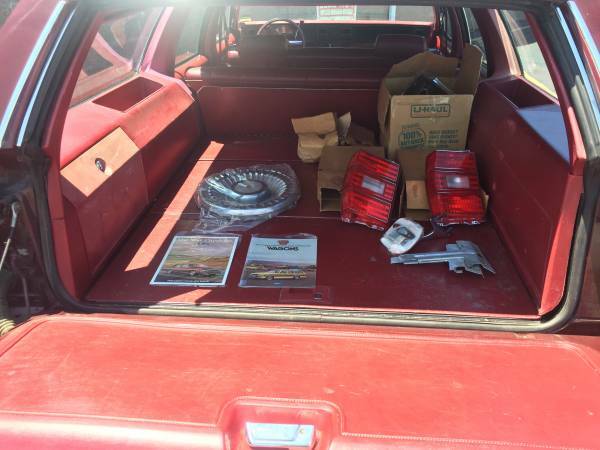 1978 Caprice wagon 89k miles garaged it's entire life. Runs and drives great. Have a few NOS spare parts really liked this car but too many in my collection. When I see these flat seats, the first thing that comes to mind is slathering them up in Amour All and taking some hard corners. The image with all the spare parts leads you to believe there was some serious affection for this wagon by someone. Could this have been a parents or uncle's car who recently passed? If anyone dares to phone in a cliched and unimaginative reference to a certain 1983 Chevy Chase film I swear I track you down and duct tape you to a pole. Meanwhile - sweet mother of god why is this not in my garage??? Only on amazon prime day does the great TP bandit show himself. I can remember stashing a teddy bear in the locked compartment in the back when we had to leave our broken down Diesel wagon. 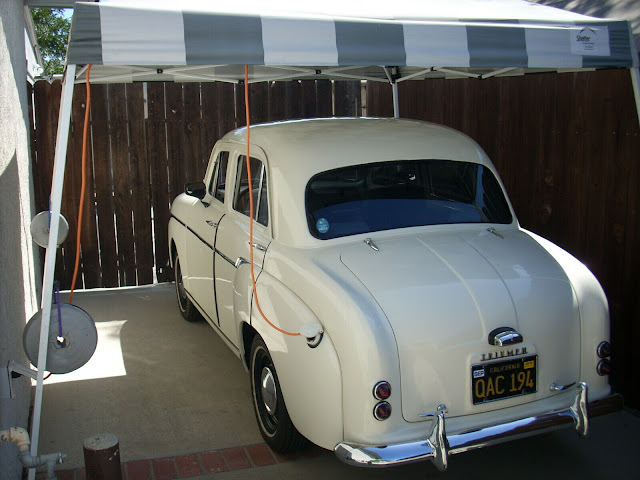 We kept that car long enough with a gas motor swap that I nearly got to legally drive it. Send Us Your 4th of July Tips!